Are Guardian Angels Watching Over Us? My neighbour was wanting to chat over the garden fence, but he said he missed the opportunity as I was walking up the garden talking to a person, according to him. He saw the person quite clearly, but on that day my wife was travelling to Edinburgh and left early and I was alone, apart from the cat. So what did he see? He was insistent I was with someone and I was insistent that I was alone. We both felt the experience was quite spooky. Are ghosts and guardian angels one of the same? Did he see someone following me, a ghostly shade from another world perhaps? It is nice to believe that we are watched over and that can be a comfort. But, what powers would a guardian angel have? Are they the spiritual warnings of something about to happen? A sixth sense or deja vu when we think we have been to a place before and yet know that we haven't. We all have probably experienced an event where for some reason a sixth sense makes us do or not do something and we are thankful for the warning for example, driving home a different route to usual, not taking a job, pausing before stepping out onto a road. It may seem minor at the time, a lapse on concentration or some such where we nearly do something, but then something else holds us back. In my novels guardian spirits watch over people and the link to their guardian can either be weak (most commonly) or strong. I explain this as being due to the guardian spirit being an ancestor and the more distant the ancestor the weaker the link. Hence, for most people it is nothing more than a sixth sense. One of my characters, Lomar, has such a strong link with his guardian spirit that he can set his own spirit free to roam the astral plain. This has its own problems, for if you wander too far from your body it may be difficult to find your way back. Lomar's strong link to his guardian is because his twin was absorbed by him in the womb, so his guardian is the spirit of an unborn soul. Kaplyn, another character, -- his spirit is replaced by that of a dead emperor from another world. This leads to all sorts of problems, but so not to spoil the plot I won't divulge them here. But, what would that be like, to have an alien guardian watching over you? North American Indians believe in animal guides which must be equally strange, as there is no common language. But, being a spirit would you need language to communicate or would fear, joy or frustration be enough. If someone was watching over me I would like the communication to be clear - which lottery numbers to pick for example. Wouldn't that be nice, to have someone on the other side to tell you which job to take or to pass on some other beneficial steer in life. 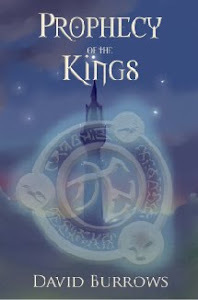 I suppose we can only dream and that's the nice thing about fantasy -- our imagination and dream,s can become a reality. Brilliant start, full of action and top notch Roman galley description and skirmish at the beginning. It's interesting to read a book about Roman ships and warfare at sea, having read mainly land-based tales in teh past. Clearly a very vital conflict. Scipio's (Roman senator) attitude towards the plebs is also spot on and really brings home the likely attitude of the well off versus the common Roman. The tale does drift off key a little in the middle - possibly because I knew the twist coming up and I was rushing to get to that. That's the one difficulty with historical fiction, unfortunately. However, it's well written and the characters are very good. I definitely will look out for the next book. 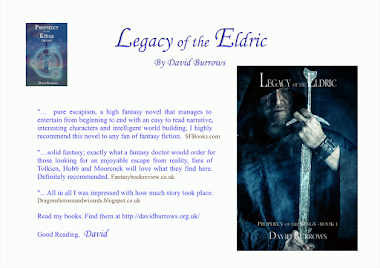 Well it's nice to know Legacy of the Eldric has made a top 100 list. It's at 97 which is great. 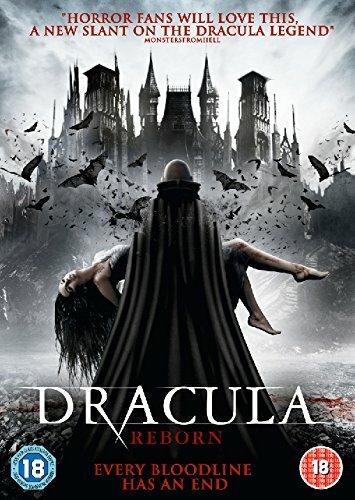 I actually quite enjoyed this film, but after buying Dracula Reborn my expectations were incredibly low. Do not expect too much, but given it's almost half the price of one cinema ticket it was not too bad. The special effects were OK. As someone on Amazon pointed out, the cover bears no resemblance to the plot. 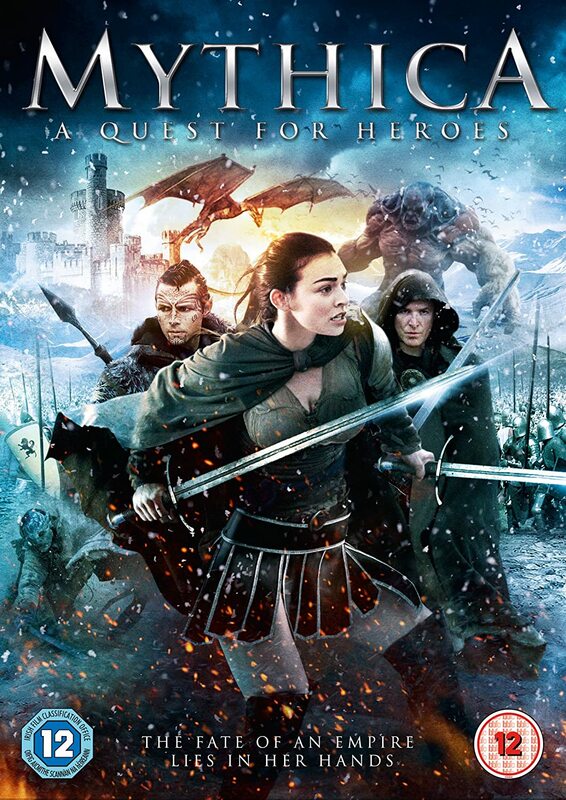 If you are a fantasy fan, feeling under the weather and not a lot to do - then this is OK. Be warned though -- it is a trilogy and I suppose the next two films may not get made. It ends OK as a stand alone film. There are Orcs and an Ogre. The tale is a little contrived that the girl is a fledgling sorcerer one minute and then manages quite a few spells the next. In terms of fantasy scripts - along the lines of many other tales. As a film though - not too bad. Low budget film and it shows. You have to follow some of the plot from news items on the TV and radio in the background and given they are in the background...they are difficult to follow. Unfortunately I felt that I wasted my money so someone will benefit by buying this for £1 from a charity shop - which is where it is heading. I like Dracula tales and this promised a modern twist. "A new slant" on the legend. I suppose that is correct that the new slant is they have taken an outstanding tale and made it ridiculous. Not recommended. From the look of other comments on Amazon, I am not alone. I only wish I'd checked those out before shopping. My experience paying for marketing on Kindle Boards was poor with few or no sales. I paid for spotlight. The difficulty was, in my view, that my advert appeared amongst so many free ones. With a plethora of free ads to compete against it seemed very pointless paying for an advert and when I saw what I was getting my heart sank. If anyone has had a good experience adversing on Kindle Boards then let me know please. It wasn't too expensive so I didn't lose out too badly and it may be worth a try for others. I may have picked a bad date to advertise which seems to be the other problem that timing can be hit and miss. A tremendous read set around 10870 AD about an expedition to China. I hadn't read Hawk, his earlier book, so I will look out for that. The characterisation in Imperial Fire is excellent. The fight scenes seem accurate for the period and the terrain and people between Constantinople and China make you realise how brutally hard life was in those times. The quest is to open relations with China and/or to steal the formula for gunpowder. There's a lot of twists and it is an engaging read. One of the characters goes off on his own quest about 2/3rds the way through and that detracted from the main plot. It was engaging still but I did think it was unnecessary. That was my only down side to this otherwise engaging book. Definitely one of his best works to date. He really brings this period alive. I loved the first Genghis Khan book and I do think Wars of the Roses is on a par. He explains the tensions between various earls before the onset of war and the problems surrounding Henry VI. The too and fro across the country with the various armies, the method of warfare, the different houses -- it's very much a real Game of Thrones which aptly he mentions. A tremendous period of history brought to life by a master story teller. OK, of all the advice on Writing a Book that I have given, marketing is where I struggle the most. You can spend hours, days and weeks on this and your efforts may not show a return for a month. An example is changing your website where it takes a month to filter through to the search engines. 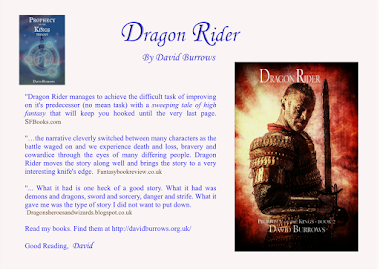 My recent venture into marketing is on Goodreads where I am paying for pay-to-click adverts. I have targeted fantasy fans mainly and my $90 stake is taking a long time to go down. Stats updates on my campaign suggest that I am getting lots of views, but the click rate is very low. If there are any sales due to the adverts -- I am not sure. There has been no surge during the campaign so it's difficult to gauge. Goodreads recommend running a give-away at the same time and I did get a lot of people interested in the books (800 each and I only gave away 1 book). Overall - not sure there has been any benefit. I have several ads running so there is some variety. 1. 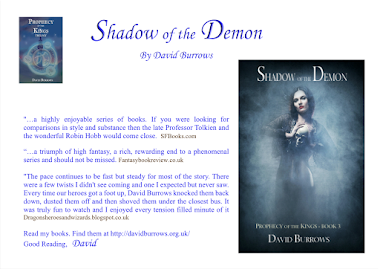 The Omnibus edition-ad seems to do nothing, so not sure folk are interested in Omnibus editions. 2. Whether the pay-to-click is 50 p or 30 p seems to make no difference. 4. At the low level of statistics I am getting - no one ad seems to stand out. Overall, Goodreads ads seem very slow and not really worth the effort. I might be tempted with a pay-to-click on Google but my experience on Goodreads is not encouraging. Anyone offer any comments over and above mine? What are your experiences? This is rather cute. Anyone else have one in their garden? Any sign of the owner? I have posted a few of these in the past.